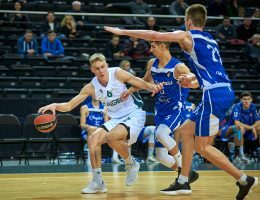 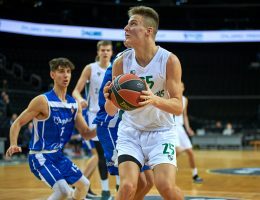 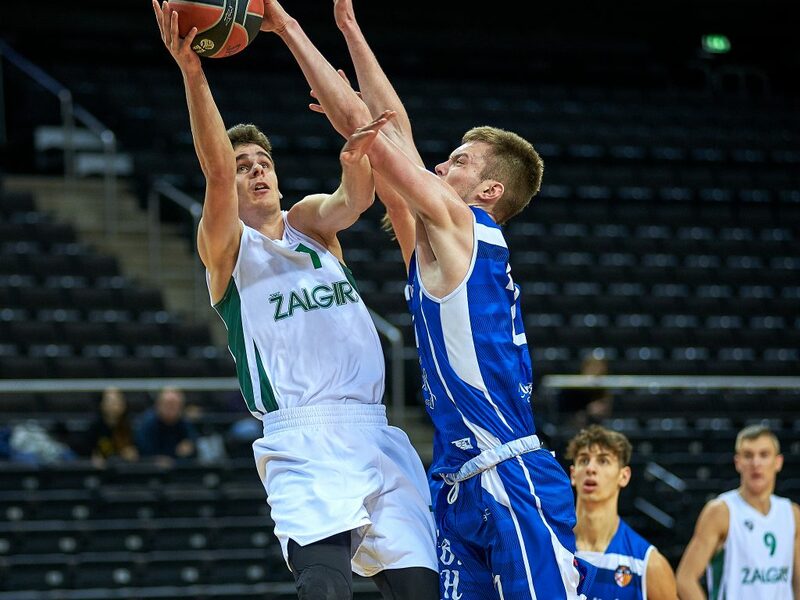 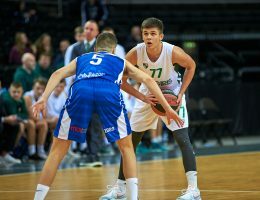 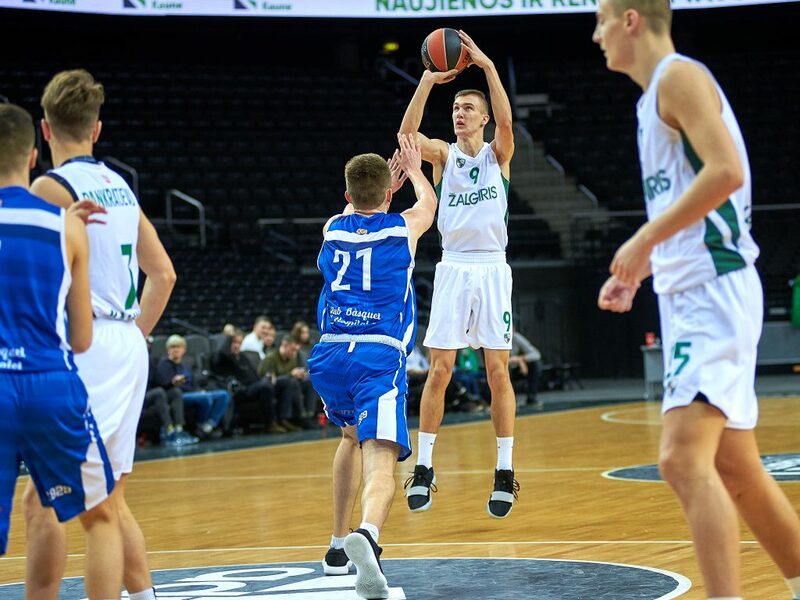 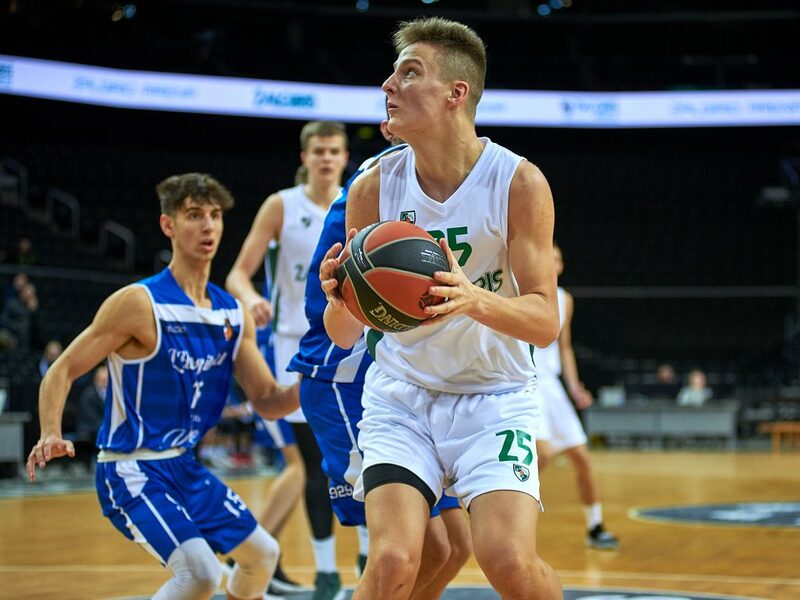 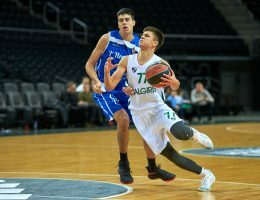 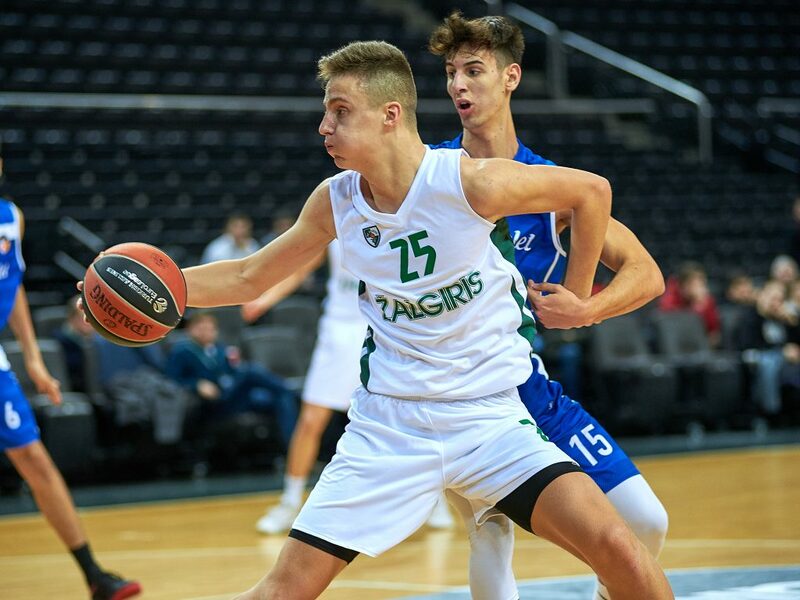 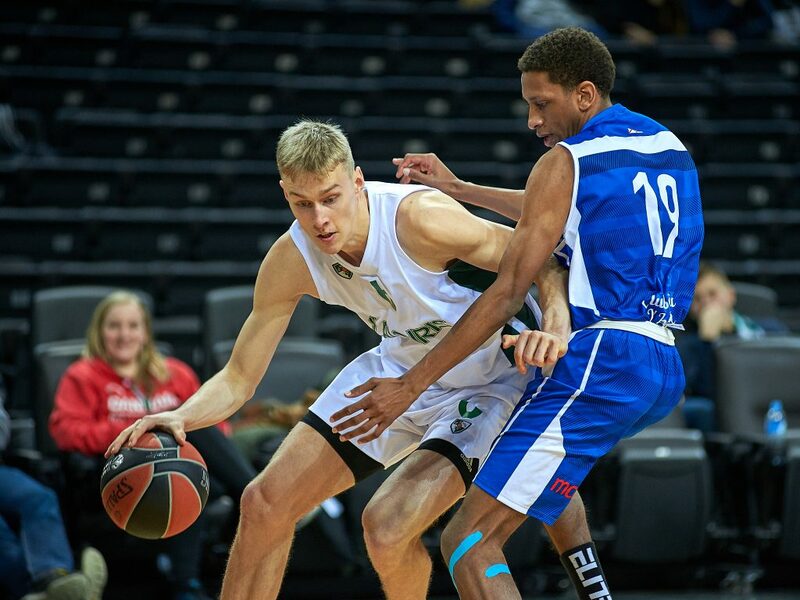 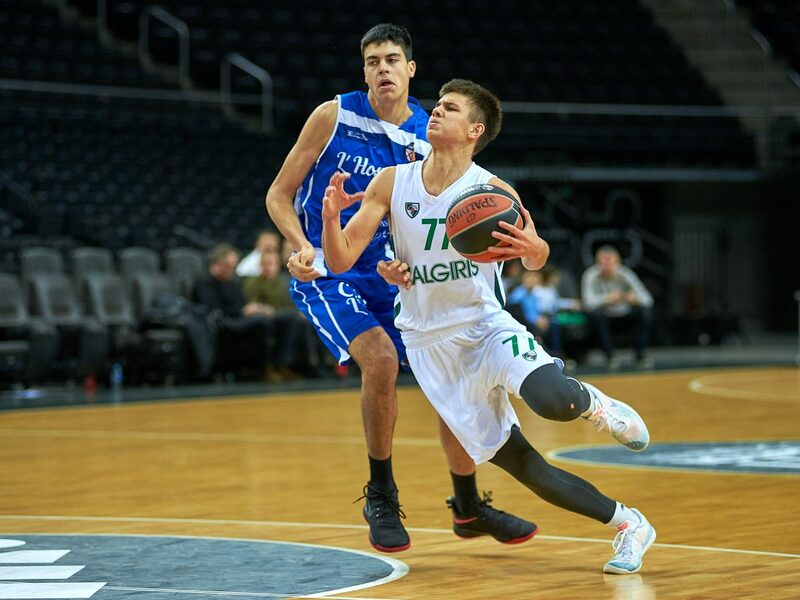 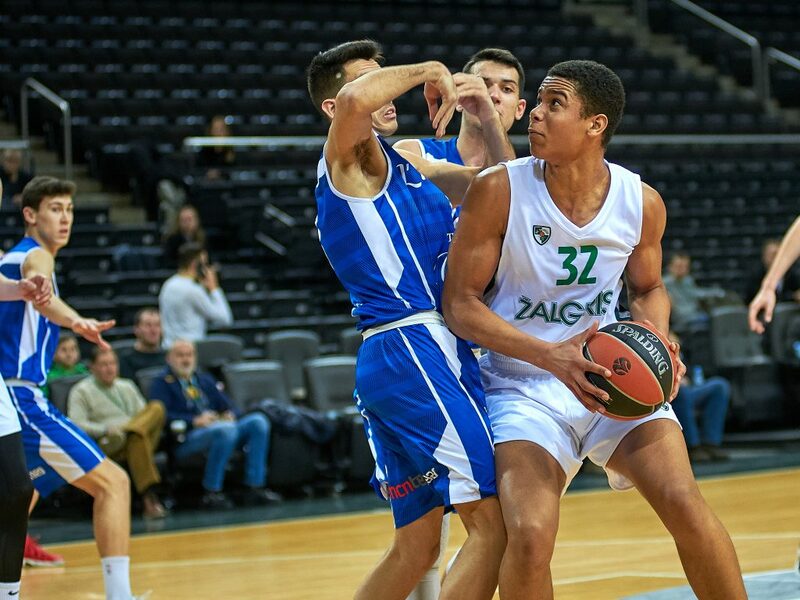 U18 Zalgiris Kaunas fended off a tough fight from U18 Torrons Vicens L’Hospitalet for an 84-70 victory to remain perfect at the Euroleague Basketball Adidas Next Generation Tournament Kaunas. 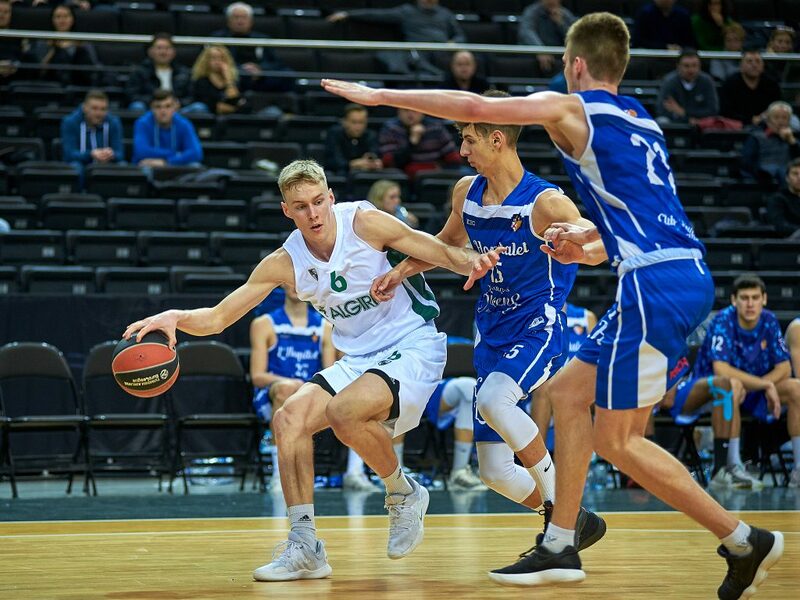 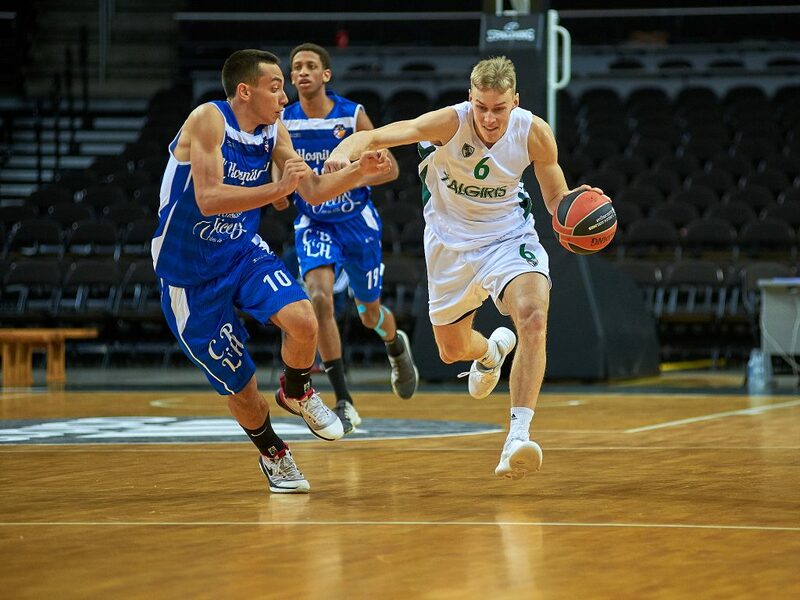 Kerr Kriisa scored 12 of his 17 points in the fourth quarter and also had 2 rebounds and 9 assists as the host side improved to 2-0 in Group A. Modestas Kancleris collected 13 points, 11 rebounds and 3 blocks and both Dovydas Rimkus and Louis Stormark scored 10 points for the winners. 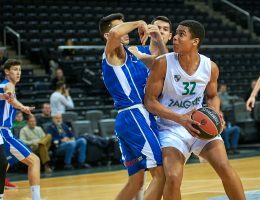 Zalgiris, which out-rebounded L’Hospitalet 44-30, will face off against U18 CFBB Paris in Round 3 of the group stage on Saturday with the winner taking first place in the group and a spot in the ANGT Kaunas first-place game. 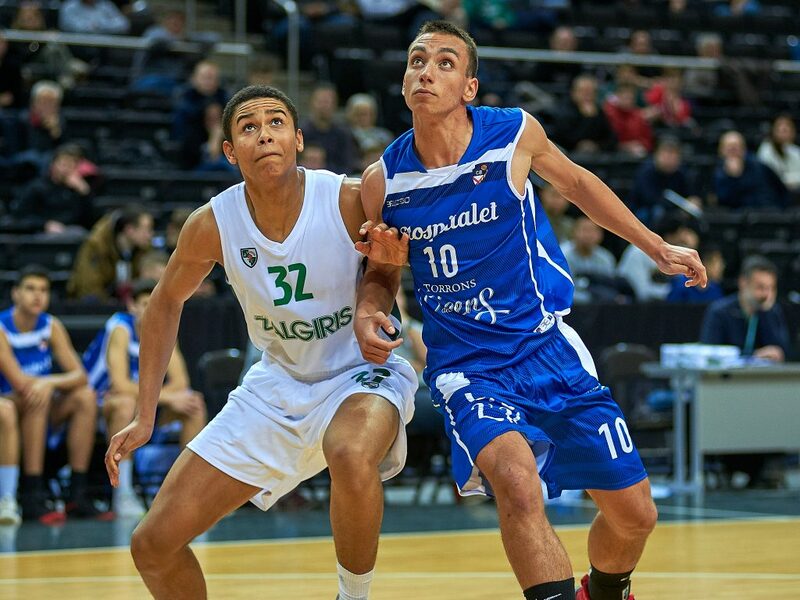 L’Hospitalet got 19 points from Daniil Cherneha and Mauro Abad added 15 points while Isaac Mayo chipped in 13 points. 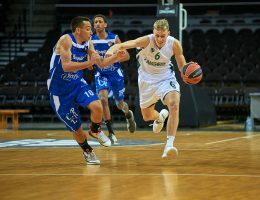 But it was not enough as the Spanish side dropped to 0-2 in the group. 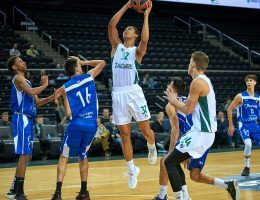 L’Hospitalet had the better start to the game and jumped ahead 2-7 as Zalgiris scored just one basket in the first three minutes. 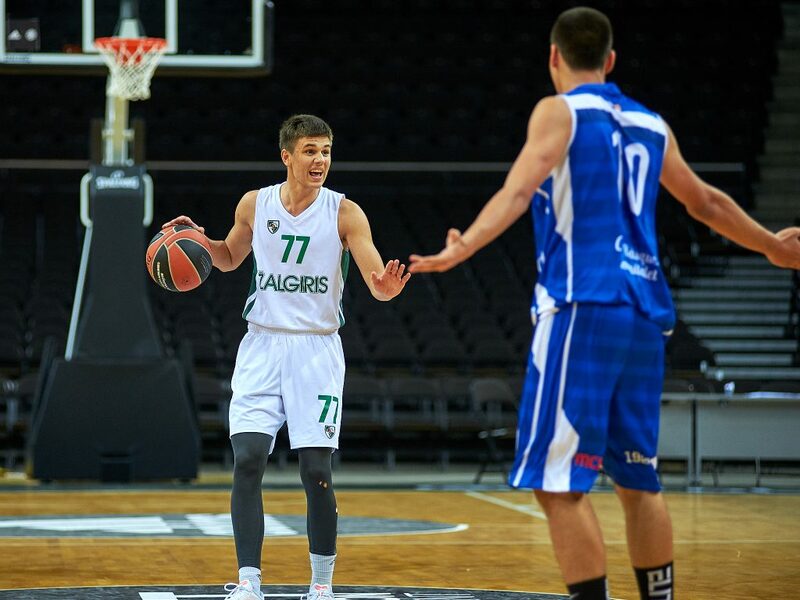 Kancleris and Rimkus both scored 5 points in a 10-3 Zalgiris run to go up 16-12. 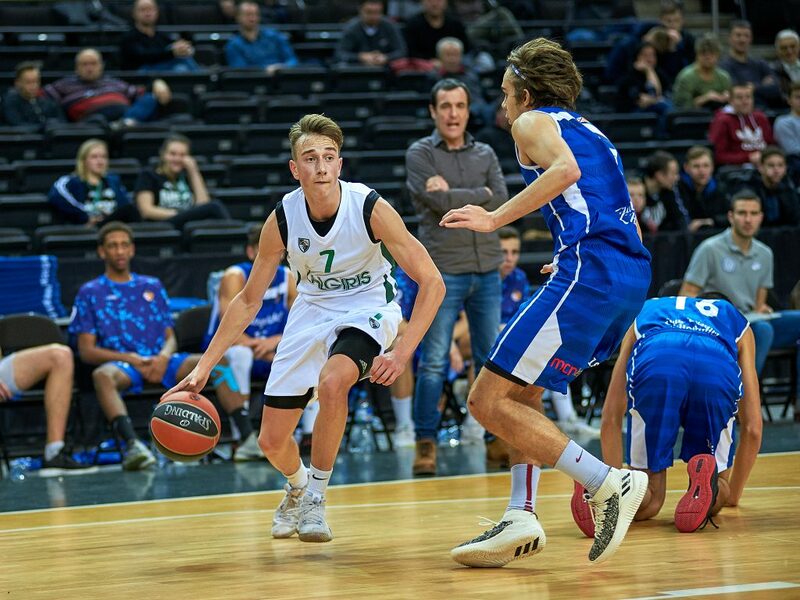 L’Hospitalet reclaimed the lead on a second trey by Cherneha but a triple and dunk from Gabrielius Celka had the host side up 23-19 after 10 minutes. 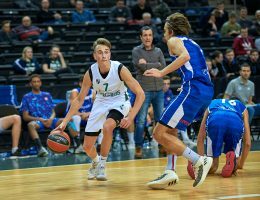 Gytis Macionis’ three-ball made it 28-21 but L’Hospitalet punched right back with the next 6 points. 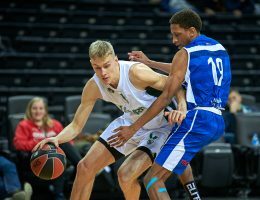 Zalgiris again surged ahead 38-29 but Mayo tallied 4 points in a 2-7 run as L’Hospitalet cut the score to 42-36 at the break. 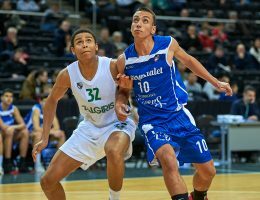 Another Kancleris score extended the advantage to 46-36 in the third, but L’Hospitalet would not go away with Cherneha scoring 4 points in a 5-12 run to get within 51-48. 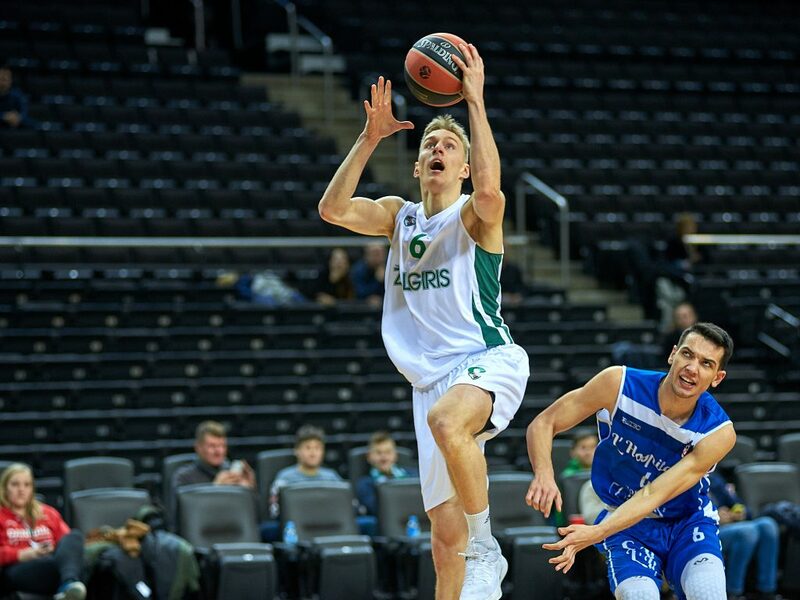 A Kriisa long ball helped Zalgiris take a 60-50 lead after 30 minutes, but L’Hospitalet opened the fourth quarter on 1-6 run to make it 61-56. 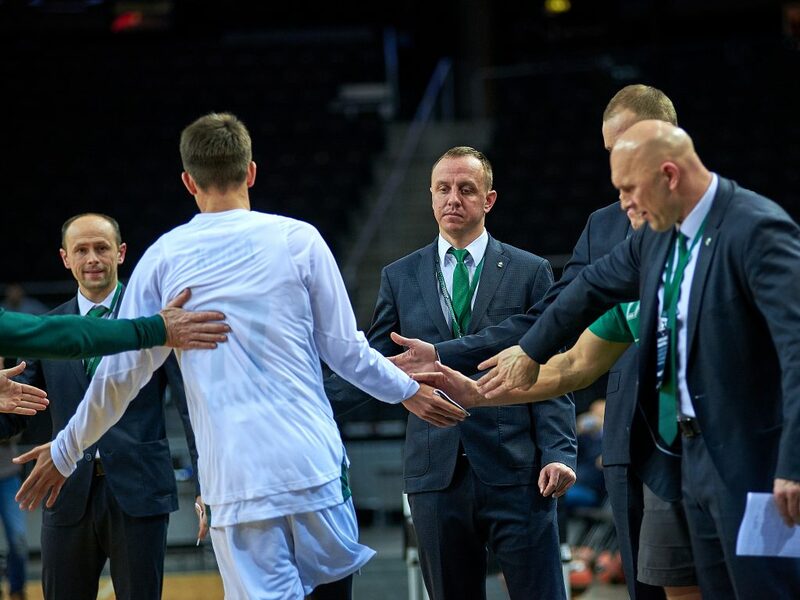 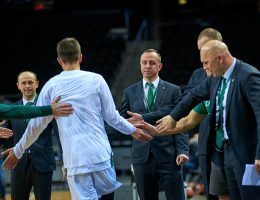 Zalgiris punched back with the next 7 points including back-to-back three-pointers from Kriisa for a 68-56 cushion with 6 minutes left, before the hosts delivered the knockout punch with a 9-0 run for a 79-61 lead with under 3 minutes left.